Rumors abound that companies including Apple are looking to crack noninvasive glucose tracking, which would let people test their blood sugar without breaking the skin - but according to Valencell, which licences biometric sensor tech to Samsung, Sony and other big companies, it's a nonstarter. "It is completely impossible to have a truly noninvasive glucose monitor," Valencell CEO Steven LeBoeuf told Wareable. Right now, invasive techniques can tell diabetics what insulin dosage they need by measuring their blood and interstitial fluid. This can be done by pricking the skin for blood, or tracking interstitial fluid just beneath the surface, as Dexcom's devices do. But according to LeBoeuf, being able to advise someone on their insulin requirements using a noninvasive technology isn't just difficult; it's impossible. "There will literally be stem cell regenerated pancreas cells in the body before there is ever anything that can be a truly noninvasive glucose monitor for dosing insulin," he said. When Valencell started out, LeBoeuf said it was approached by a large venture company offering a lot of money if it would focus on noninvasive glucose monitoring, but LeBoeuf said he didn't think it would ever work. "You can have all the money in the world, but you can't change the laws of physics." He added: "The good news is that these minimally invasive technologies are really working well right now." He also doesn't believe research by companies like Apple will be totally futile, as other benefits will likely arise from it. 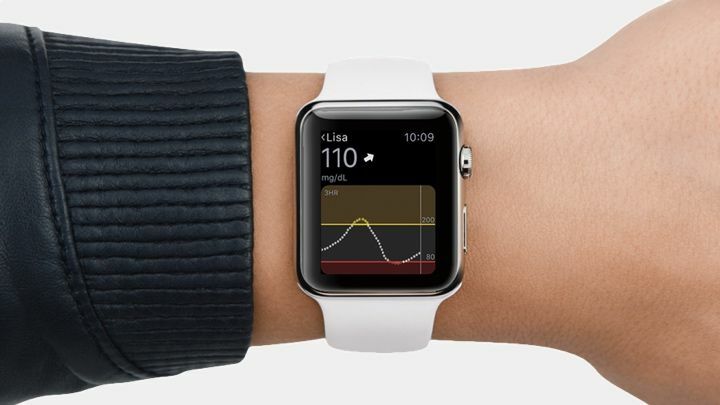 Apple is reported to have a team busily researching the possibility of noninvasive techniques, presumably with the hope it could one day offer this feature in the Apple Watch. Google was also working on a contact lens for tracking glucose noninvasively from the eye, but the project has gone suspiciously quiet. Heart rate tech company Cardiogram just published a study showing that it can use heart rate variability in existing HR sensors to detect if someone has diabetes with 85% accuracy. However, the company is explicit about the fact this is only for detecting signs for the condition, not diagnosing - and certainly not being able to advise diabetics on their insulin requirements. But it's possible that tech companies will find other routes to helping diabetics manage their condition. Fitbit just invested $6 million into Sano, a company developing a coin-sized glucose tracker, while Siren has created a pair of socks that can detect early signs of injury for diabetics, who are at risk of neuropathy, the damaging of nerves, and more prone to foot injuries that don't easily heal.